More than a century ago, America celebrated the 400th anniversary of Christopher Columbus’s voyage of discovery by hosting an enormous worlds fair on the shores of Lake Michigan. This Worlds Columbian Exposition featured statues of the great explorer, replicas of his three ships, and commemorative stamps and coins. Because Columbus Day was a patriotic holiday–it marked the opening chapter in American history–the newly written Pledge of Allegiance was first recited in schools on October 12, 1892. Nowadays, however, an embarrassed, guilty silence descends on the nation each Columbus Day. Weve been taught that Columbus opened the way for rapacious European settlers to unleash a stream of horrors on a virgin continent: slavery, racism, warfare, epidemic, and the cruel oppression of Indians. This modern view of Columbus represents an unjust attack upon both our country and the civilization that made it possible. Western civilization did not originate slavery, racism, warfare, or disease–but with America as its exemplar, that civilization created the antidotes. How? By means of a set of core ideas that set Western civilization apart from all others: reason and individualism. Throughout history, prior to the birth of Western civilization in ancient Greece, the world seemed impervious to human understanding. People believed that animistic spirits or capricious deities had supernatural powers to cure diseases, grow crops, and guide the hunters arrow toward his prey. To get the attention of these inscrutable spirits, people resorted to prayer, ritual, taboo, and human sacrifice, relying always on the mystic insights of shamans and priests. This pervasive mysticism had practical consequences: festering disease, perpetual poverty, and a desperate quest for survival that made offensive warfare against human beings seem as natural as hunting animals. Such was the plight of Americas Indians before 1492–and such was Europes own plight, once the civilizations of Greece and Rome had given way to the mysticism of Christianity and the barbarian tribes. It was Western philosophers, scientists, statesmen, and businessmen who liberated mankind from mysticism’s grip. Once scientists revealed a world of natural laws open to human understanding, medical research soon penetrated the mysteries of disease and epidemic, allowing us to look back with pity upon American Indians and other historical victims of diseases now preventable and curable. On a much wider scale, the Industrial Revolution employed science, technology, and engineering to create material goods in profusion, so that even people of average ability could become affluent by historical standards. By demonstrating how wealth can be created in abundance rather than stolen by armed force, America and the West supplied a moral alternative to the bloody tribal warfare of past eras. Western civilizations stress on the value of reason led inexorably to its distinctive individualism. Western thinkers were first to declare that every individual, no matter what his skin color or ancestry, is fully human, possessed of reason and free will–a being of self-made character who deserves to be judged accordingly, not as a member of a racial or tribal collective. And thanks to John Locke and the Founding Fathers, individuals were recognized as possessing individual rights to life, liberty, property, and the pursuit of happiness–rights that made slavery indefensible and led to its eradication, at the cost of a civil war. These are the facts we are no longer taught–and the measure of that educational failure is the disdain with which Columbus’s holiday is regarded in the country that owes its existence to his courage. 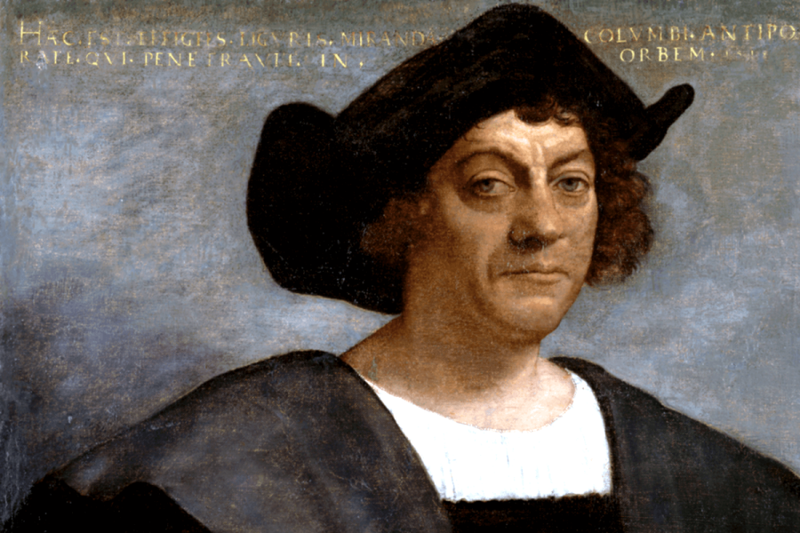 It is time to take back Columbus Day, as an occasion to publicly rejoice, not in the bloodshed that occurred before Columbus’s arrival and after, but in our commitment to the life-serving values of Western civilization: reason and individualism. We do so by honoring the great explorer who opened the way for that civilization to flourish in the New World. © 2008 Ayn Rand® Institute. All rights reserved. Thomas A. Bowden, author of The Enemies of Christopher Columbus, is a writer for the Ayn Rand Institute in Irvine, CA. The Institute promotes Objectivism, the philosophy of Ayn Rand, author of Atlas Shrugged and The Fountainhead. Thomas A. Bowden practices law in Baltimore, Maryland.